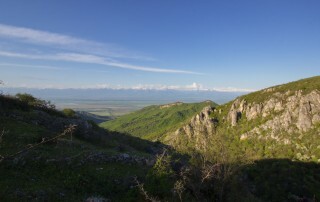 Tour to Khevsureti covers one of the most exotic places of Georgia, grate Caucasus range district. Region: Mtskheta-Mtianeti Khevsureti is one of the most isolated historical provinces of Georgian highlands. 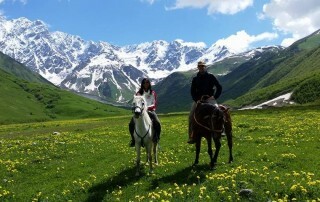 Khevsureti lies on the both slopes of Great Caucasus range and is divided into three parts. Destination of our tour is the most famous part of Khevsureti –village Shatili – famous because its original medieval architecture, but beside Shatili tourists will see many other even more interesting places, enjoy unspoilt nature and feel like time travelers to the deep meddle ages. This places are accessible by car only from mid of June till mid of October. All the rest time mountain road is closed because of snow. Tour to Khevsureti allows you to see the most interesting places in this mysterious area. Meeting with a guide and a driver in the hotel and start travel to Khevsureti. First 70 km of road tourists will drive toward Georgian military road – historical main road, which connected central Georgia with north Caucasus. Then road to Khevsureti goes via historical province Pshavi. 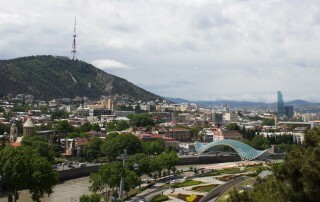 Stop at Jinvali water reserve – built in the late 70-ies, supplies Tbilisi with water, here are merging Mtiuleti Aragvi and Pshavi Aragvi rivers. After photo stop continue road to the north. Village Korsha. Stop to see Khevsureti ethnographic museum. This museum was made by local people, who gathered all old things from their houses. Stop on the Datvijvari pass, at the altitude 2676 meters above the sea level. This is the highest point of the tour. From here, from the very same point tourists will see Argun and Aragvi gorges together. On the very top of great Caucasus range. Abandoned village Lebaiskari. On elevation 2100 meters above the sea level tourists will visit first abandoned village of Argun gorge. Village is notable because its tower, built in middle ages. Such towers are typical to north-east Caucasus – Khevsureti, Tusheti, Ingusheti, Chechnia and Dagestan. Next stop in abandoned village Kistani. On the top of the mountain there are two old fortresses, where tourists will hike. Fortress was protecting hidden in narrow gorge village. 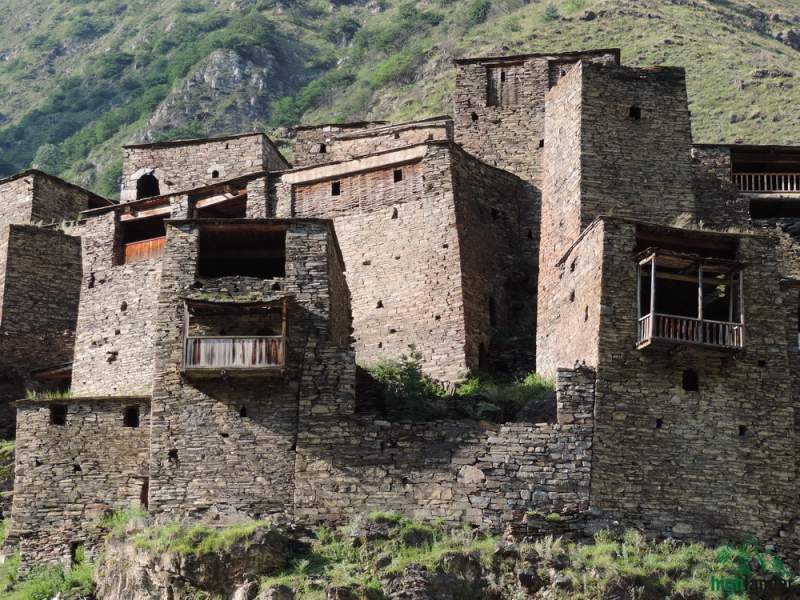 From fortresses tourists will hike down and for the first time see village of Argun gorge Khevsureti – 3 floor stone houses, standing beside each other, so that one can walk around the village only stepping on roofs. Return to the car. Arriving to village Shatili. 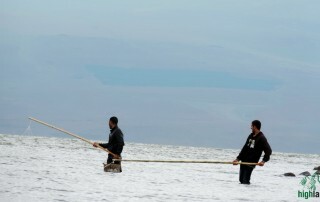 First of all making camp, gathering water and wood for fire. Lunch and walk around Shatili. This is the biggest village in Argun gorge of Khevsureti. Tourists have time to walk around it and explore till darkness. Check in in a guesthouse and dinner.